The claims were made after Donald Trump Jr., the president’s son, tweeted a photo of Cooper in waist-deep flood waters, while his camera crew stood a few feet away in water up to their ankles. In his tweet, sent over the weekend as Hurricane Florence unleashed winds, rains and floods across the East Coast, Trump called on the television network to “stop lying” about his father. Trump Jr. did not specifically mention Hurricane Florence in his social media post, but several social media users and online sites wrongly concluded the picture of Cooper was taken during Hurricane Florence. During the Sept. 13, 2008, broadcast, from which the photo was taken, Cooper tells viewers he’s in Bridge City, Texas, and points to a house with a front porch that’s been engulfed by water. A banner across the screen reads “Ike Keeps Going.” Cooper explains to viewers that the flooding is not as deep on a nearby highway being used by emergency crews. The camera crew then pans to the roadway, where the water is only a few inches deep. Cooper then adds that he’s standing on the side of the road to show the varying depth of the floodwaters. The day after Cooper’s 2008 story, The Associated Press reported that more than 600 people had been rescued, some from their attics or rooftops, in Orange County, Texas — where Bridge City is located — because of the severe flooding. The storm surge from Ike topped 15 feet in some areas. 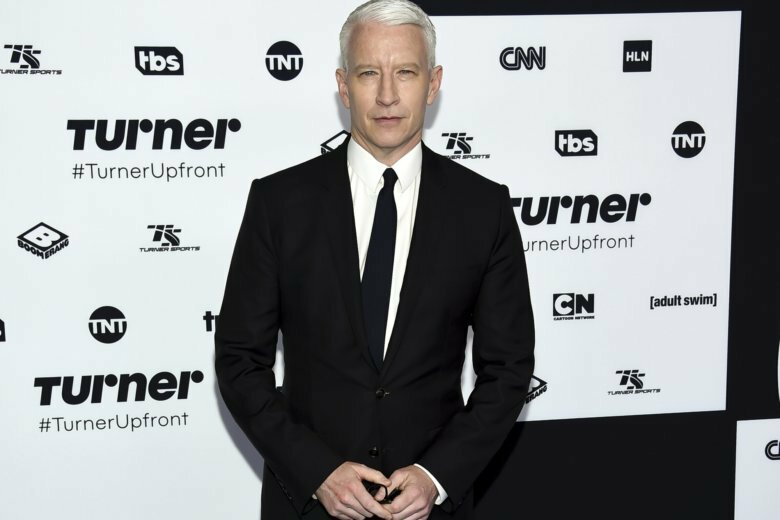 During a Monday night broadcast, Cooper directly addressed several of the claims circulating on the internet and Donald Trump Jr.’s tweet. “I’ve covered hurricanes for about 14 years and it really does make me sad to think that anyone would believe that I would try to fake something or overly dramatize a disaster,” Cooper said.